I received a product of my choice from dandelions online boutique for my honest review. The product that I chose to do my review on is the Maui maxi dress. This dress is just the perfect summer or spring dress, I actually can’t wait for it to be next summer that way I can wear this all the time. 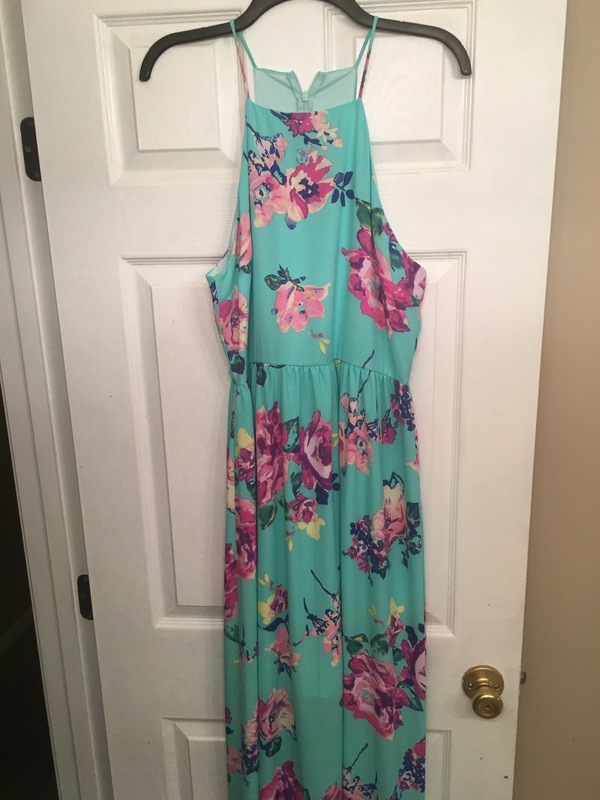 I am just in love with the colors of this beautiful dress, it’s a very pretty blue mint color with purple and darker blue flowers. Honestly everything on their website is just so adorable, if I could just wear everything I would! I also like the delivery time it took to get the dress, it was only less than a week before I received it. I do recommend this shop and their products to my readers. Make sure to check out their website below to preview all their other products.